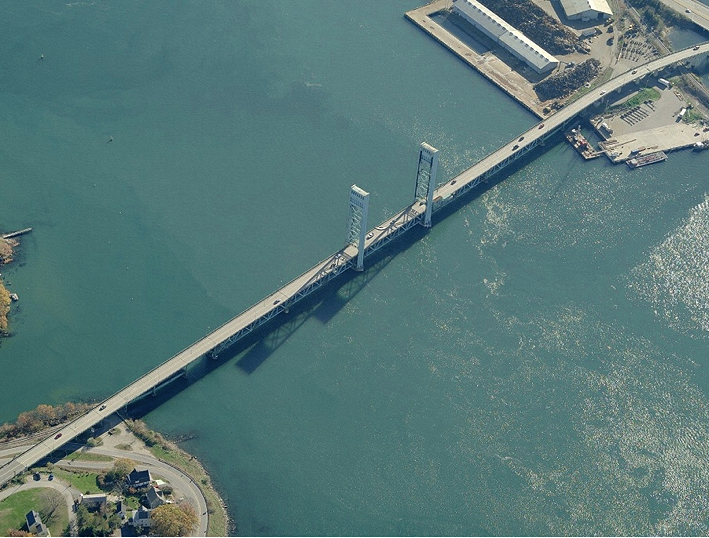 Childs Engineering Corporation conducted an above water and underwater inspection of Piers 15 through 20 of the Sarah Mildred Long Bridge. The bridge was constructed circa 1940 over the Piscataqua River and connects Portsmouth, New Hampshire to Kittery, Maine by way of U.S. Route 1 Bypass. The bridge is 2,804 feet long and is supported by a total of 23 piers. The inspection was performed by a four-man dive team under the direction of a professional engineer and included a visual and tactile inspection of exposed vertical faces between the mudline and the top of each pier. SCUBA equipment was utilized and the diving was done in accordance with OSHA regulations. The diving operations were coordinated with the US Coast Guard and the Port of Portsmouth. The diving was carried out from our 22 foot boat. 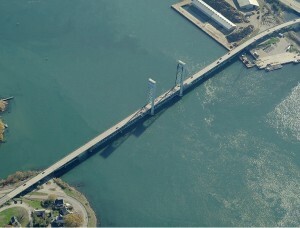 The objective of this project was to document the existing condition of Piers 15 through 20, determine the rate of concrete deterioration through testing and analysis of concrete cores, and assist in the development of plans for the rehabilitation of these piers for the proposed service life of 75 years.